WHO: These are free community events. All families are welcome! 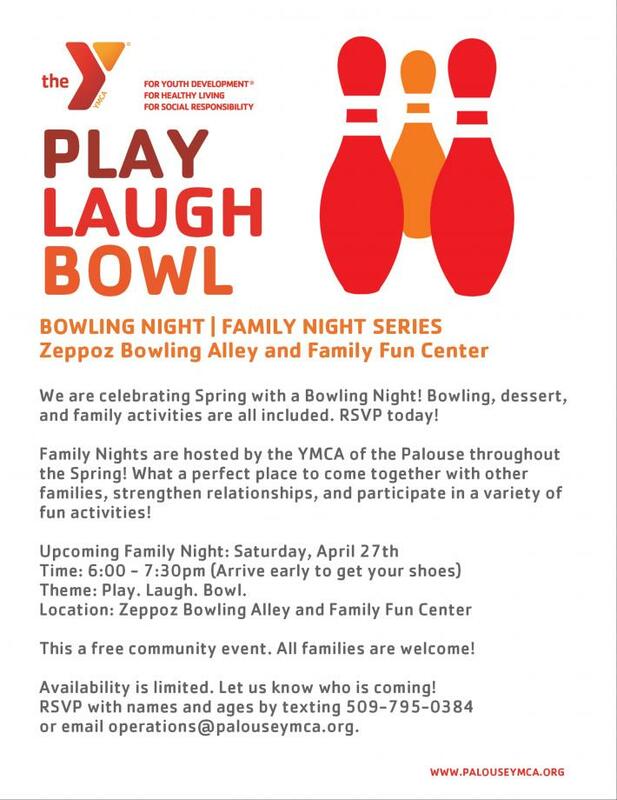 WHAT: Family Nights are hosted by the YMCA of the Palouse throughout the Spring! What a perfect place to come together with other families, strengthen relationships, and participate in a variety of fun activities!